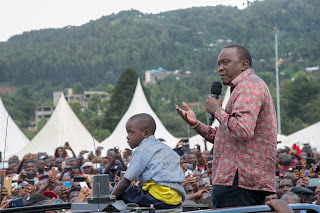 "Kisii simple PR gathered president Uhuru Kenyatta a lot of Support" Says Political analyst. - Bana Kenya News, Real African Network Tubanane. Home Social media "Kisii simple PR gathered president Uhuru Kenyatta a lot of Support" Says Political analyst. "Kisii simple PR gathered president Uhuru Kenyatta a lot of Support" Says Political analyst. President Kenyatta Public Relationship has made him people feel to give him votes. According to the latest research, the president Kenyatta PR has made people sympathize with him. The yesterday's example has garnered a lot of support from Kisii and people have been talking about it on the social media. 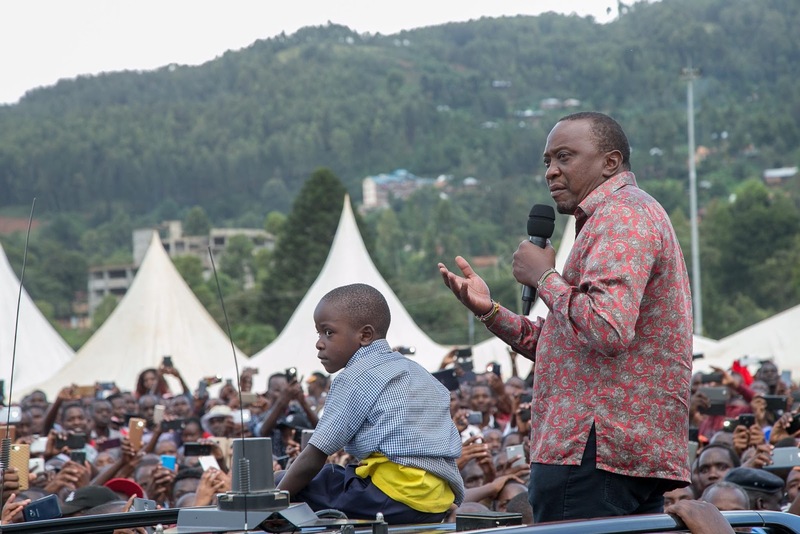 President Uhuru Kenyatta took a primary school kid to his car while he was addressing the multitude at Nyamira, Kisii. He took the child because he was suffocating due to the huge crowd. The people especial from the Western region congratulated the president as no any other president has done such a thing in the world. "Supporting the child healthy through giving him/ her fresh air shows a sense of humour and support in the region. says Political Analyst. The president has gathered enough support from Kisii with a simple PR technique. "The people do not realize that it very few leaders who can do that. Others even a handshake is a problem. " Says the majority leader Adan Duale. "Now the Western region is a Jubilee zone and we will continue to move around the whole country until we get re-elected." He added.